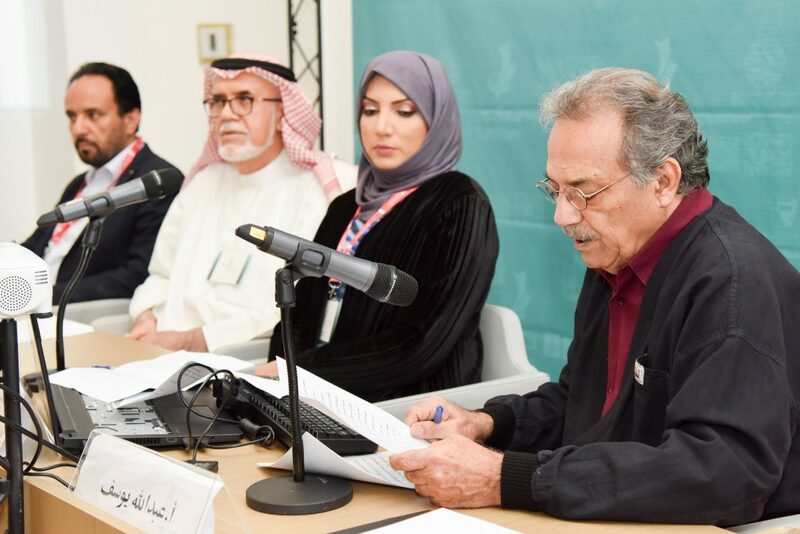 As part of the 2019 Bahrain Theatre Festival Agenda, an intellectual forum kicked off in the Kingdom to celebrate the 100th year anniversary of the theatrical movement in Bahrain. Under the patronage of HE Shaikha Mai bint Mohammad Al Khalifa, Bahrain Authority for Culture & Antiquities President and in the attendance of numerous numbers of playwrights, actors, critics and researchers, the event is being held at the Art Centre in Manama besides the Cultural Hall from 10 to 11 April 2019. The forum will cover two main areas: the history of the theatre in Bahrain and the intellectual art. In that regard, Mr. Mohamed Hameed Al Salman, Director of the Intellectual Forum Committee in Bahrain Theatre Festival 2019, said, “The Management of Bahrain Theatre Festival has decided to celebrate the 100-year anniversary of Bahrain Theatre in line with the celebrations of the 100-year anniversary of education in the country.” Mr. Al Salman explained that the early beginning of theatrical work in Bahrain concurrent with the educational renaissance that witnessed the launch of the very first modern school in Bahrain in the year of 1919 and was called Al Hidaya Al Khalifia school in Muharraq. Worth to mention that Bahrain Theatre Festival has been launched under the initiative that was founded by HH Dr Shaikh Sultan bin Muhammad Al Qasimi, Ruler of Sharjah -United Arab Emirates and the president of Arab Theatre Institute, to organise a theatrical festival in every Arab country under the management of the Arab Theatre Authority. Bahrain Theatre Festival 2019 is being organised jointly by the Arab Theatre Institute, Bahrain Authority for Culture and Antiquities, in addition to the Theatre Societies Federation in the Kingdom of Bahrain.